The folder in which I keep my research bookmarks shoots to the top of the Bookmarks drop-down window when I start a project. Then it ticks down to the bottom (below “Shopping”) as I get immersed in my concocted world. Here’s a list of the best research sites for writers on the mondoweb, in my experience. I think one or two may come as a surprise. What do you mean, “Which CIA?” That CIA. If you want to get spectacular data in an elegant package then give the snoops a chance. It’s not really a surprise that they have useful info, is it? Though it may be a surprise to some just how available that info is. There’s nothing like an historically accurate story. What’s better than reading a great yarn that feels real? Best History Sites (.net) is a useful resource on a number of levels if you’re researching a time period. As the name implies, they gather the best history sites together in an easy-to-read package. I just got off an hour of browsing their links while researching this research post. Sigh. These guys are doing history right. They’ve spent years posting quality articles, slideshows and media around world history. If you check out their A-Z section you will be lost in fascinating information. For questions about everything from the history of nail clippers to the top donors to Abraham Lincoln’s political career, turn to Quora. You need to sign up to fully participate. It can also take a lot of reading to find the value. But it’s worth your time to go there if you need a question answered. The best resource for crunching numbers. But even more important? The best resource for excavating stories behind the numbers. Just type in your hometown’s name in the search field and you’ll see what I mean. Blekko is a search engine that presents its quality results in a logical way. If you search for “George Lucas” you’ll see the different kinds of results (social, shopping, bio, etc) displayed immediately. Sure, you could use Google. But Blekko’s robust presentation will probably appeal to many of us. This was a tough one to recommend. It’s an ugly site with a lot of noise that has nothing to do with research, and a LOT to do with distracting you from your research. But if you can stay focused and follow the logic of their odd navigation, Research.com will give more than it takes. Getty is great for art history and architecture from prehistory to today. Refdesk calls itself the “Fact Checker of the Internet.” Used correctly, they’re probably right. The site is a treasure trove of info. You get everything from law dictionaries to gas price maps to contact info for local politicians. All on one page! Very Web1999, but I like it. Like Refdesk, Library Spot is a hub for information. It attempts to provide you with easy access to the many online libraries and information resources. They do a pretty good job, considering the complexity of what they set out to do. Is it possible for me to get through a post without mentioning Google? No. Google Scholar has set out to give us a search engine for scholarly literature. You can find articles, books, court opinions, abstracts, and theses from a number of different sources. You can also arrange to check out books that contain the info you need, much like the resources listed below. Online library resources are a fantastic place to research. But you need to know what you’re getting into. Be sure to check out the FAQs or the “How to Use” areas of the sites. It’s easy to get lost and feel like you’re getting the run-around. Some areas require membership and even university VPN connections. I’ve linked directly to the UCLA research guides, which is a sufficient overview of their scope. From this page you’ll find a number of free access sources, and some membership sites. 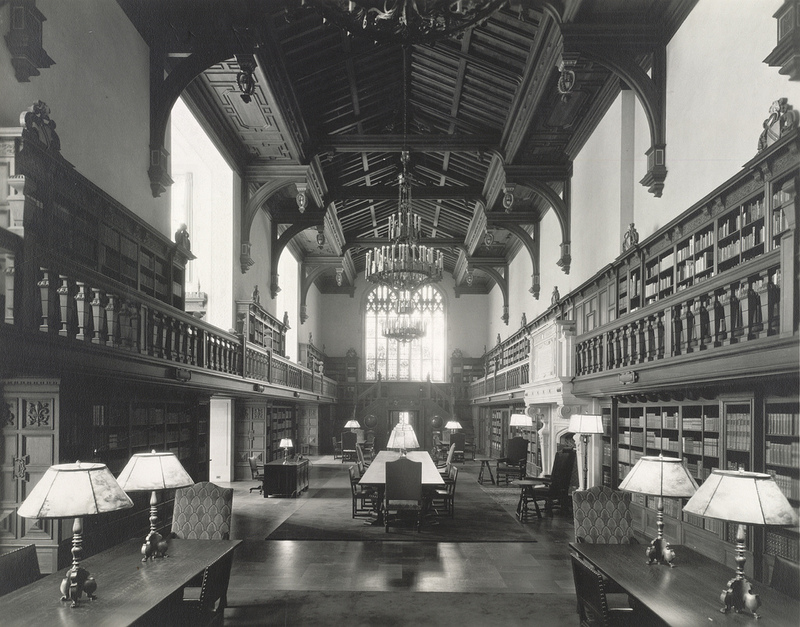 Oxford combines over 100 libraries in one. Wow. I’m partial to the NYPL images gallery for my writing research. If you live in NYC you can do a combo of online and stack research. Amazon KDP Select has a bridge to sell you! No, really. Great info, Ben. I’ve clipped this into my Evernote! Cool! I’m happy to have helped. Happy researching! Useful collection of info Ben. Duly noted. Thank you.